LSTGM wants to open you new horizons and, why not, to let you escape from the monotony of summer practice! What are the clerkships SCOPE/SCORE? They are international student exchanges for the period of one months, recognized by UMF as summer practice. Careful! 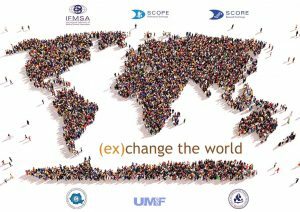 They are different from Erasmus placement / study (which are organized by UMF and they organize a separate competition). SCOPE = Standing Committees on Professional Exchange (clinical stage). SCORE = Standing Committees on Research Exchange (research internship). 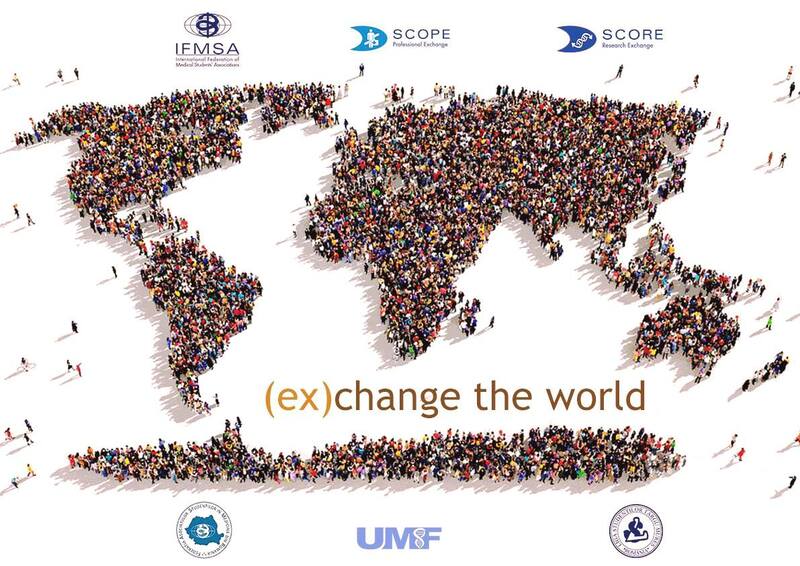 IFMSA = International Federation of Medical Students’ Associations. Ce îmi aduce mie un stagiu SCOPE/SCORE? Participi la un proiect de cercetare pe care îl alegi, daca alegi un stagiu SCORE. Şi destul de important….O nouă diplomă adaugată CV-ului tău. Why should I take part to an internship SCOPE / SCORE? – I can improve medical knowledge. – I can learn new medical procedures or techniques. – I can participate in research projects. – I can spend a month abroad. – I know another country. – I can visit new places. – I know another culture. – I can meet new friends. Spend a month in a city in a foreign country. You have provided a room and a meal (at least one meal a day). – You choose the department. You can participate in a research project that you choose, with internship SCORE. And quite important … A new diploma added your resume. Dosarul trebuie să conțină un CV Europass, menționarea tipului de stagiu pentru care concurați(SCOPE sau SCORE), situația școlară în toți anii universitari încheiați, precum și dovezi ale tuturor activităților extracuriculare(activitate științifică, de voluntariat, cursuri, traininguri etc.). De asemenea, vă rugăm să completați grila de punctaj(grila-romana-finala), pentru a face calculele cât mai ușoare. FOR REGISTRATIONThe documents must contain an Europass CV, which type of internship you are interested in (SCORE or SCOPE), the situation of all closed academic years, school and extracurricular activities of all evidence (scientific activity, volunteering, courses, trainings etc.). Also, please complete the scoring grid(grid-english-final), to make the calculations easier.The files are submitted to the League of Students (caminul 2) and DEADLINE for their submission is Sunday 13th November. The applications can be submitted online, at the specified email addresses.